If you?re looking for a class leader that has all the bases covered, one of the used Toyota Prius models for sale in Coventry is likely to suit your requirements. Arguably the world's best-known hybrid vehicle, the Prius makes use of innovative engine technology while remaining a practical and reliable family vehicle. 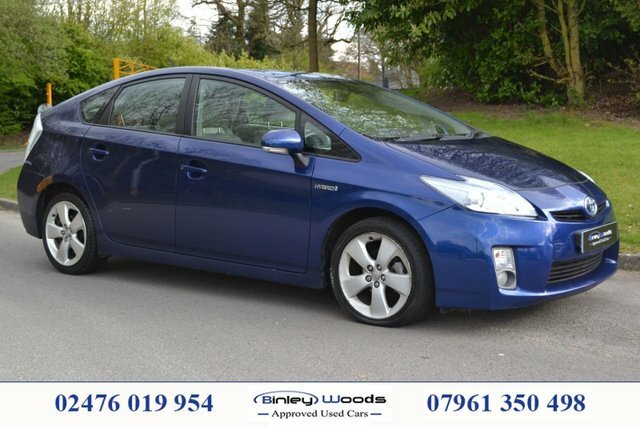 Come and view the complete range of used Toyota Prius models for sale in Coventry right now at Binley Wood Approved Used Cars. Our showroom team are friendly and highly experienced, and will always go the extra mile to ensure that you're able to find the perfect vehicle to suit your needs. Start your search by viewing our latest stock of used Prius models here on the website.